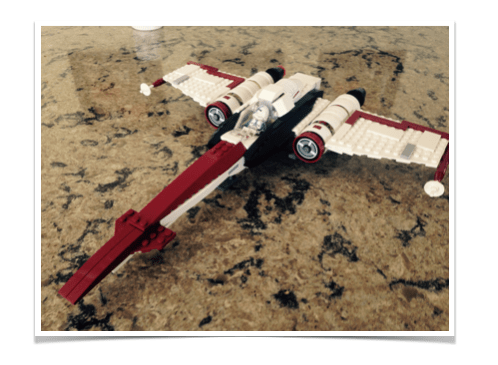 Here was how our conversation in math class (MFM1P) went…..How many pieces make up this Star wars Lego ship? We started with that picture and had a great conversation around Lego. Then I showed this one. Does the pool/hot tub have more pieces/less pieces/ or the same? This turned into “boy” Lego vs. “girl” Lego.  My personal opinion is its all great…. My 3 daughters are just as excited to play with Yoda as they are with Disney princesses. Girls in the class agreed that they didn’t need their own line of lego!!! I moved our conversation a little forward with asking Which costs more? And which should cost more? Anna — Friends should cost more because it’s a newer brand. Joe — Star Wars costs more because it’s a popular brand. Jacob — The friends cost more because there are more pieces. Kristen — Friends should cost more because the pieces aren’t standard. 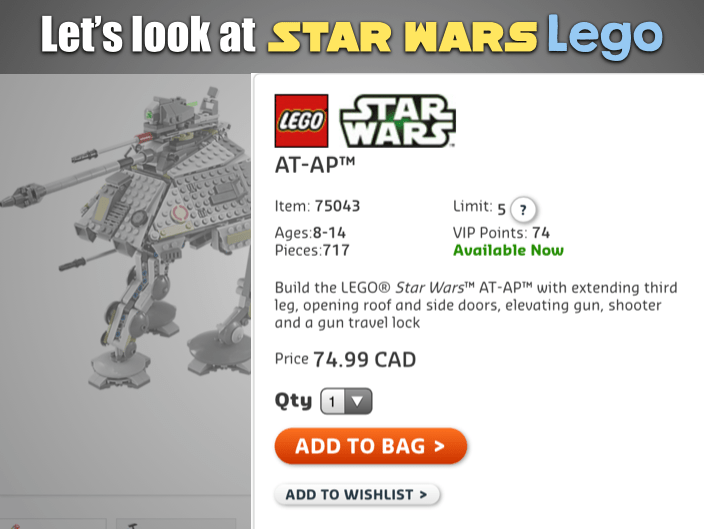 How does Lego price it’s kits? Jacob suggested that its by number of pieces and the class agreed that has something to do with it. I Let them struggle here and see if they can discover the price per piece. Some students found number of pieces per dollar and some found price per piece. We all came to the same conclusion. 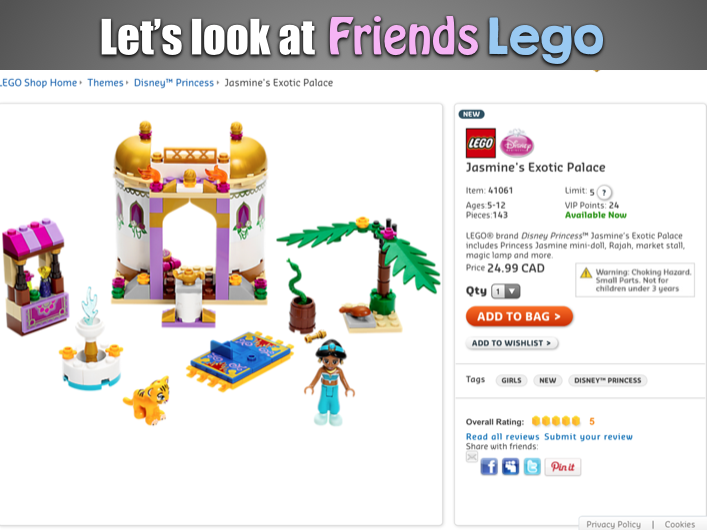 We discover that Lego friends has the lower price per piece($0.08 compared to $0.11). Is this always true? Let’s see! 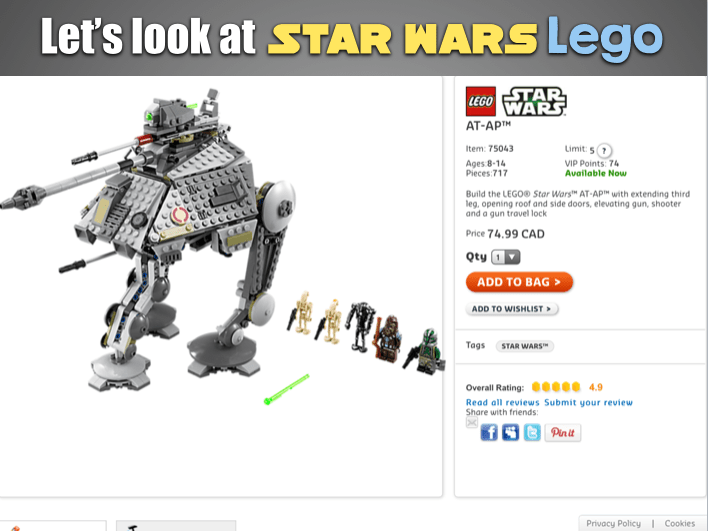 We go through a number of different Star Wars Lego sets finding the unit rates. We notice that they are not all the same so we find the average rate. We then go through Disney and Lego Friends sets and calculate the rates. 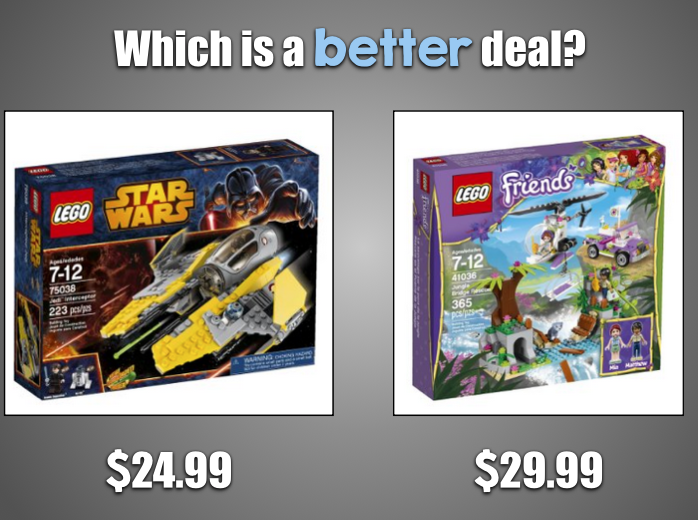 We saw that on average the Friends and Disney sets were $0.16 /piece compared to Star Wars’ $0.13/piece. Minds Blown!! We also graphed each on the same axis. We then used our work to determine what each of these sets will cost? 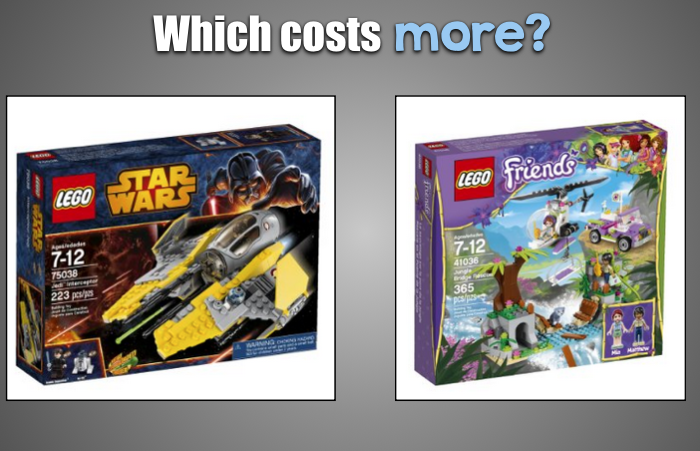 The class conclusion: Lego sets are pricing their Lego Friends and Disney sets higher than Star Wars sets! Girl vs. Boy conversations came back up and I threw this set out at them……and they were outraged by the price!!!!! I should let you know in my small class of 15 students……12 of them are girls!!! I like this idea quite a bit. I’m going to try it this coming week with my 7th graders. We are studying stats right now so I think this will tie in real well and give them some review of unit rates. I just did a quick test myself using Amazon. 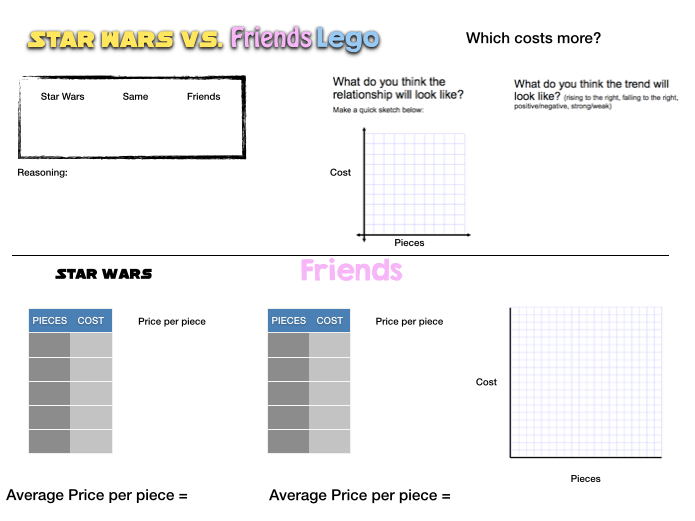 I compared Friends vs Super Hero, and Friends was cheaper by about 0.02 $US in the sample I did. That’s interesting to me. Maybe it has more to do with licensing costs for the Marvel stuff. That is interesting! Would love to see the work your kids do! I did the lesson. Instead of focusing on gender, we did it more generally. I had them pick two set types. Like star wars, super hero, friends, disney princess. It seems that it may not be gender bias so much as licensing. Super here seems to be the most expensive per piece. Disney princess is up there. Star wars is cheaper for some reason. LOVE this!!!! Sharing it with my 7th grade teachers. We’re looking at the gender pay gap right now in 8th grade. Check this out! Gender bias is alive and well. 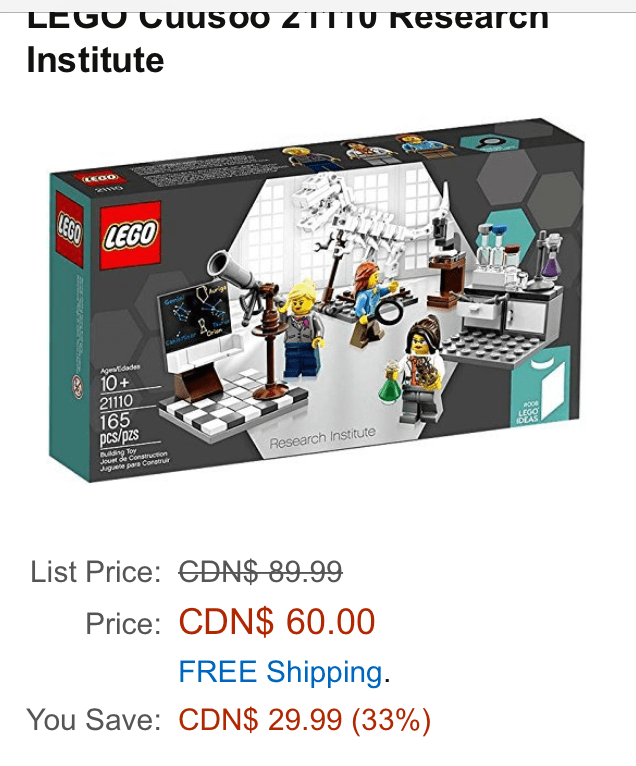 I’m a kid that goes to perth road public school and In math we are researching if lego is gender bias whinch I don’t think it is. Great idea! 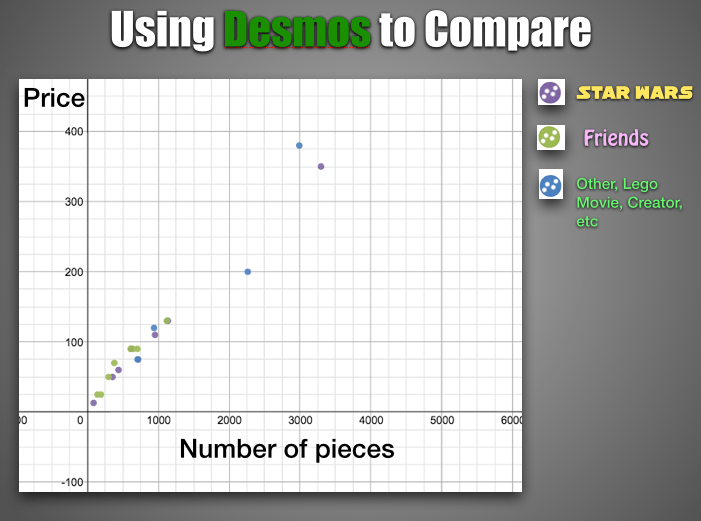 I made the change to compare Ninjago vs. Friends. I will be investigating the licensing fee for branded Lego (i.e. Star Wars or DC Comics) later this semester. 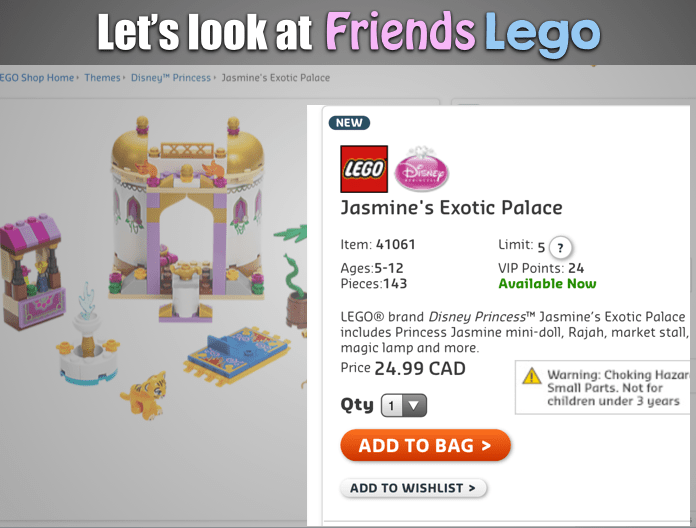 Ninjago vs. Friends – Friends still has a higher price per piece. Awesome. Would to see what you came up with. Did you ever develop a strategy for using this in MEL3E? I would be interested in your approach.